A world being eaten and corrupted by bugs and Shina Ninomya awakens to save it. Trapped in the virtual world she created, Death end Re;Quest is a thrilling anime adventure that leaves players at the edge of their seats. Death end Re;Quest begins with Shina Ninomiya waking up in World’s Odyssey. She sets out as a normal adventurer in sight of reaching Odyssia. But things are not as they seem, as this place is a world where monsters are not your average creature. Since this world is consumed by an entity known as Entoma. Bug-like creatures driving the residents of World’s Odyssey deeper into madness and converting them into glitched out beings. Thankfully for the residents, Shina discovers that she is actually Director Shina Ninomiya. The creator of World’s Odyssey who disappeared suddenly from reality. Going further down the rabbit hole, Shina teams up with her partner Arata Mizunashi to find a way out. Her main quest is to dissolve the Entoma and defeat Heaven’s Messenger. Along the way, she meets multiple NPC’s who aid her in the fight to live and escape. The story for Death end Re;Quest is both exciting and different. The plot is different from big animes such as Sword Art Online and Log Horizon. Making the player the actual creator, instead of just being one out of a million players. 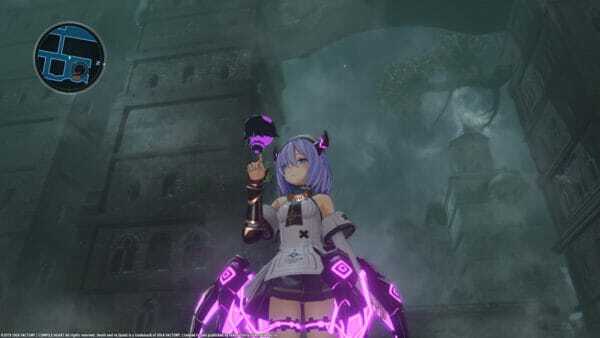 Similar to another Idea Factory series, Hyperdimension Neptunia, Death end Re;Quest is filled with game references and offers eye capturing visuals. Players have a say in many outcomes of the story and the game has different endings as well. The story also shifts between Shina and Arata as both try to solve the reason why Shina disappeared and the way to get her out. Players can visit real world to initiate story cutscenes that lead deeper into the madness. Compared to other anime-based games, Death end Re;Quest by far has a very strong story. Especially in its approach to getting the perfect ending. 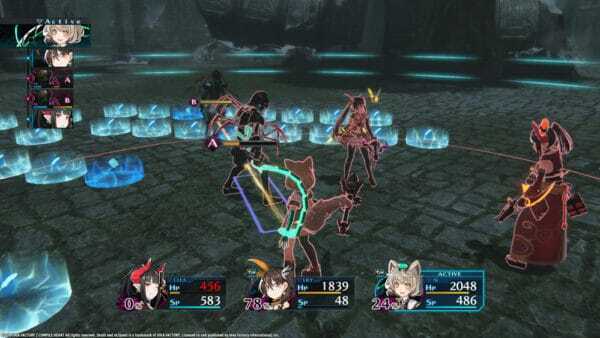 Death end Re;Quest‘s combat system is akin to something from the Tales series. Focusing on free movement around the battlefield. Thus allowing for more freedom in creating the perfect strategy against enemies. Players can push enemies backwards using the Knock Back system. Then, using the Triact system, players can choose up to three actions that assist Shina and her crew in battle. These actions range from physical attacks to magic attacks. 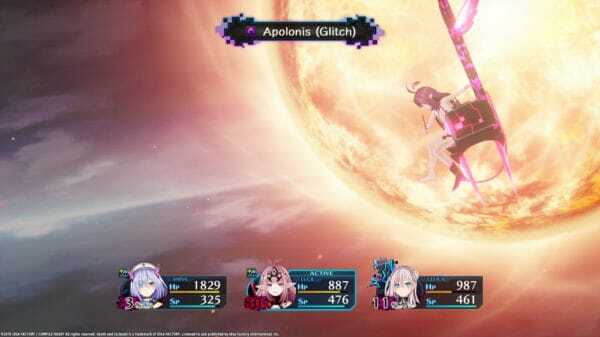 During battle, Shina and friends also have limit breaks known as Glitch Mode. Due to the Entoma’s influence, the virus normally transforms inhabitants into monsters. However, the party can control this transformation. When Entoma wrap around the girl’s bodies they become Buggies. Tiny fairy-like creatures that become the girl’s weapon and also a major factor in the glitch transformation. 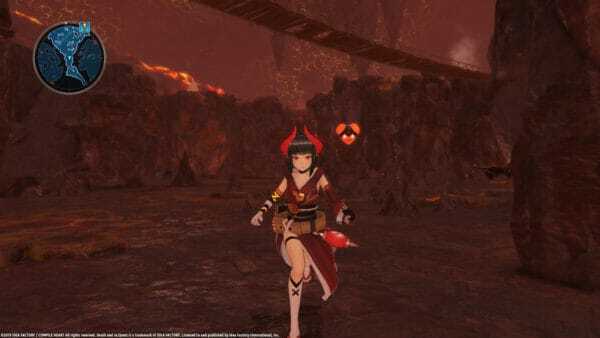 Once transformation occurs, the girl’s become powerful beings that can deal a ton of damage when their corruption level is above a certain amount. However, use this power with caution. If the girl’s die with their corruption level high, negative effects occur which impact their relationships and even the main story. Arata also takes part in the battles by using his game hacking skills. He alters the code of World’s Odyssey and changes the tide of battle. He applies status buffs raising damage outputs for Shina and the party. Arata also writes the code for enemies to inflict status ailments on themselves as well. Arata can also change the “genre” of the game. Meaning the normal RPG tactics can change to Real-Time Strategy tactics or another type of genre entirely. For example, Arata can change the game into a shooter during battle. Making players aim at enemies and use the controls as if you are shooting a gun for a short amount of time. This unique aspect of Death end Re;Quest is truly what sets it apart from other games. The title of Death end Re;Quest speaks for itself. Players that die due to loss in battle or their own poor decisions are at risk of having to start from their last manual save point. So remember to save often, or risk a lot of lost progression. However, the game also sort of rewards death with extra story content as well. So, you never know when you may get a special cutscene for simply dying. Save points carry more of an old school style in that they are spread far apart. There is a small silver lining to it though, as cutscenes that require an important decision can be quick-saved before making that decision. Deaths can be annoying but at least there’s a reward that unlocks more of the game’s secrets. The animation in the game is by far one of its best features. Cutscenes are gorgeously drawn. The line and color detail are highly expressive. Backgrounds in-between cutscenes blend just right against characters and offer a visual glimpse of the World’s Odyssey. The 3D dungeons also deserve some recognition as a digital landscape created to hold the world’s monsters and inhabitants. Players are immersed in the world and when I finished, the game made me want to go back just to keep seeing its beauty. The unique animations during some cutscenes are a bit graphic though. But then again, this game does have a Mature rating for a reason. Death end Re;Quest is a fun ride. The design of the game is one of my favorite things about it. The amount of content available including the game over scenes bring players back for more. Voice acting is on point, providing dialogue that is smooth and fitting for an anime game. 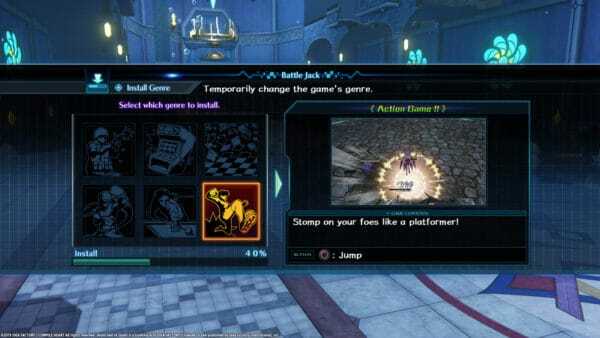 The unique battle system is a fresh change for the genre that keeps players on their toes. Characters are all unique and actually matter even when in their visual novel pose. 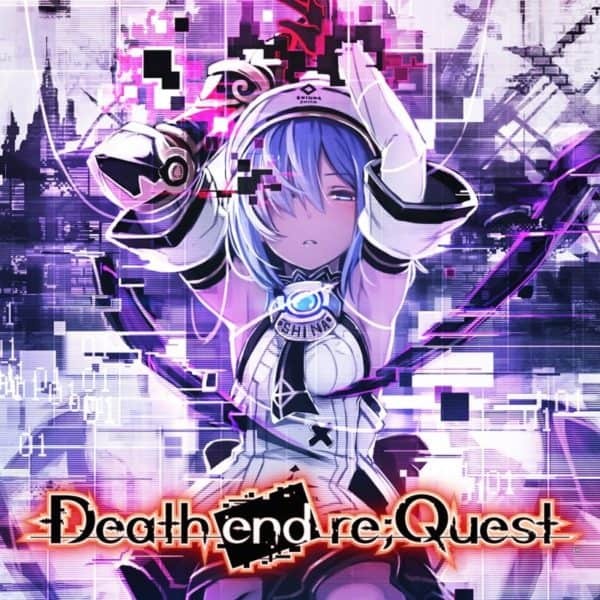 Players that love Compile Heart games or anime will feel right at home with Death end Re;Quest.